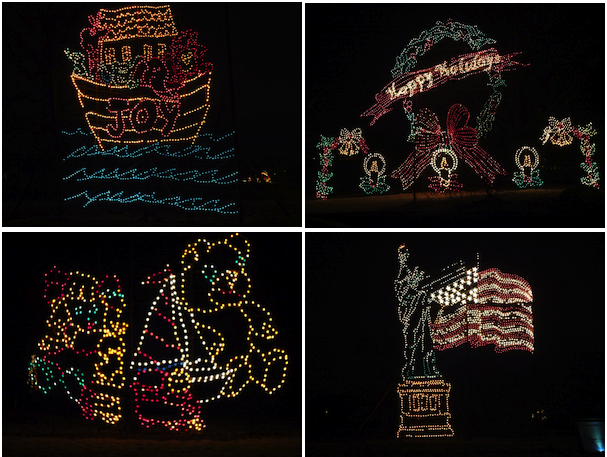 After an errand outing to Glastonbury, Cristhian and I decided to take a spur-of-the-moment trip to Hartford Holiday Light Fantasia. Since it was a last-minute decision, I wasn't able to give the attendant my $2 off coupon. So we ended up paying the whole $12 fee. 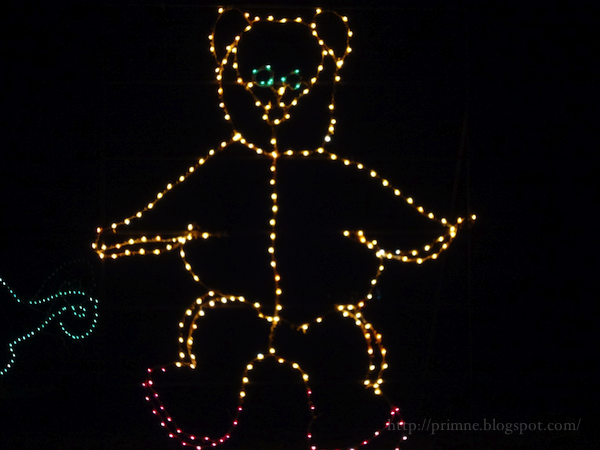 Although, upon finding out the entire cost of the entrance fee went entirely to children, I felt better about not saving $2! We're cheap-os! 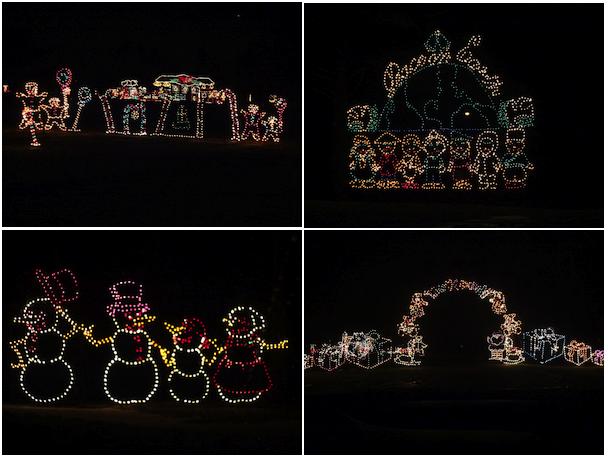 At Bright Nights, Cristhian and I kept stopping (which we're definitely not supposed to do) in order to take pictures. I'm sure we irritated the dozens upon dozens of cars behind us. 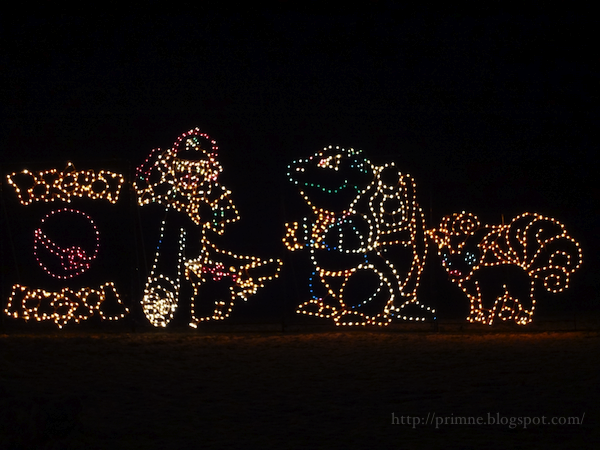 At Holiday Light Fantasia, we had time to get out of the car, walk around, take pictures, get back in the car and drive off- comfortably and without rushing. 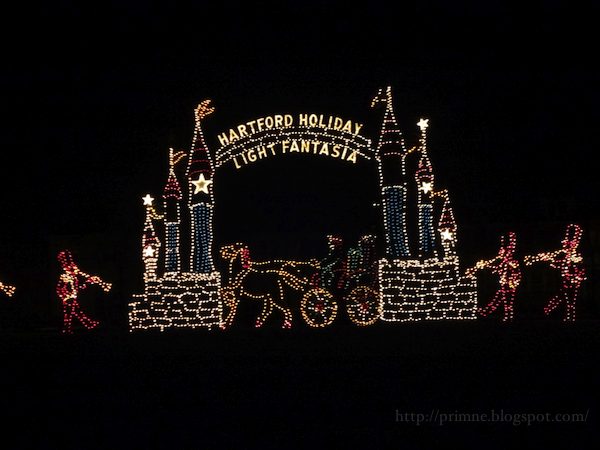 Welcome to Hartford's Holiday Light Fantasia! 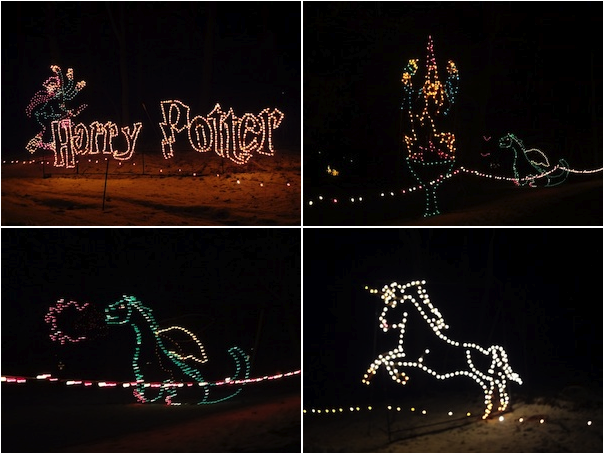 Dumbledore and the Goblet of Fire?! Norbert blown' fire? The unicorn (who Voldemort sucked blood out of) fighting back the Dark Lord?! Yes, please! 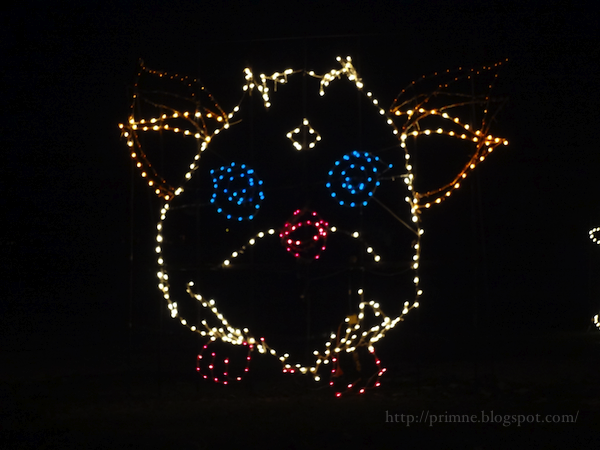 Looks more like Gizmo, the Gremlin, than Furby, no? Ash, Pikachu, Blastoise and Vulpix! Holiday Light Fantasia wasn't as busy as Bright Nights, but that may be because Christmas had passed a couple days prior. 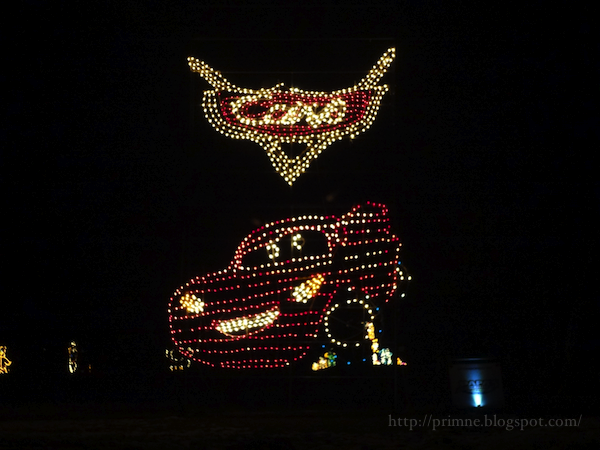 Or maybe it was because it boasts a much smaller lights display. 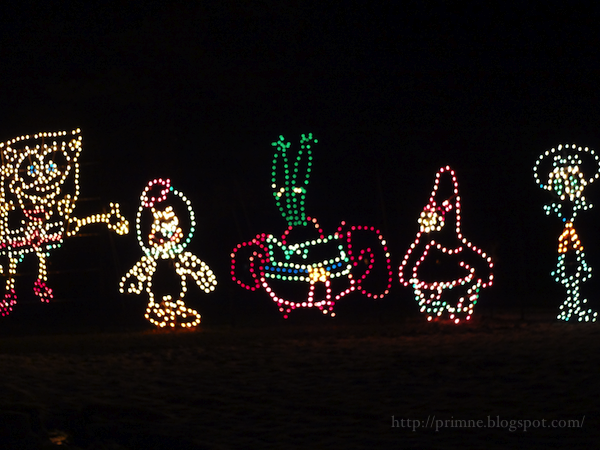 The Pokemon display was definitely my favorite. And Cristhian's… well, I think he was ready to leave when we got there.